Have you begun your holiday visits yet? With parts of our family in so many different places, December is filled with several mini get-togethers. I know it’s that way for lots of families. It’s kind of fun to spread out the celebrations. This week we’re getting together with my mom and her husband. Mom is used to my baking escapades but she isn’t usually a recipient of my DIY efforts. This year I hope she is going to be wowed by a personalized gift I’m putting together for her. Check out these fabulous Crochet Bath Scrubbies! My mom has been so busy with her dogs this year. She has two Labradoodle guardian dogs. When you provide a home for the dogs and have them bred, they become yours after they produce about three litters. One of the dogs had her first litter of ten puppies, which we got to see when we visited this fall (adorable!). Mom has spent a lot of time caring for all of the dogs’ needs so I thought a care package of personal spa items would be a good gift idea for her this year. I stopped by the specialty bath aisle when I was at Target this week. Target is calling it The Bathery®. The mix of lovely scents makes you swoon! They’ve got loads of great products I would like to receive (psst…that’s a hint, Mike) so I’m hoping Mom will like them too. 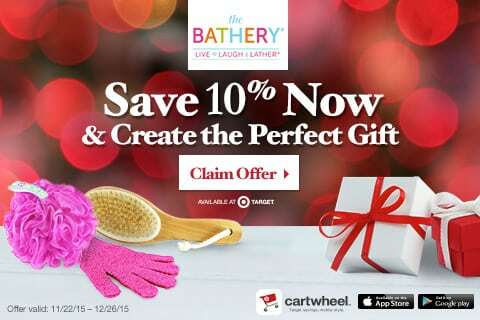 The Bathery® has all kinds of product lines to choose from so you can easily put together a cute, customizable gift. The 2-in-1 Bath Brush – with its long handle and the 4-in-1 Foot Wand looks awesome. I also noticed lots of great lines including Neutrogena, Village Naturals Therapy, Dead Sea Essentials, Calgon, SheaMoisture, Nip+Fab, Tree Hut, Ahava, Me! Bath, Caldrea, and Bodycology. The most difficult part was narrowing down choices—a good problem to have! I bought my mom Calgon Ageless Bath Nourishing Milk Bath and Exfoliating Mineral Scrub because I know she loves to escape into her gorgeous vintage style soaker tub. I’m also including these sweet bath bombs Sam and I made. We’d never made them before and I’m pleased at how well they turned out. 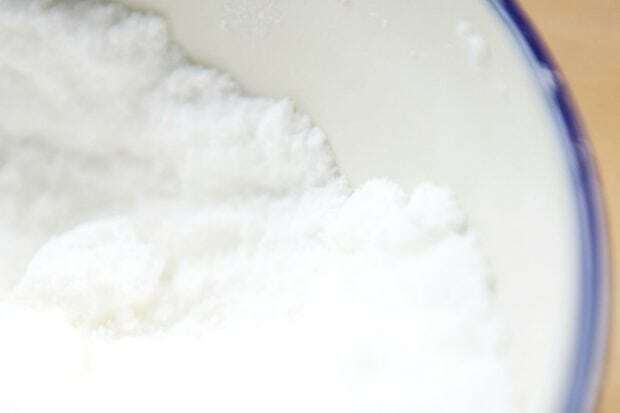 Fully combine the baking soda, corn starch, citric acid, and salt in a medium bowl with a whisk. In a separate bowl, combine the melted coconut oil, water and essential oil. VERY slowly add the wet mixture to the dry mixture. It will fizz if you are adding it too fast. Whisk the whole time you are adding the wet. Ensure everything is fully mixed. “Dough” should clump together when you mix it. 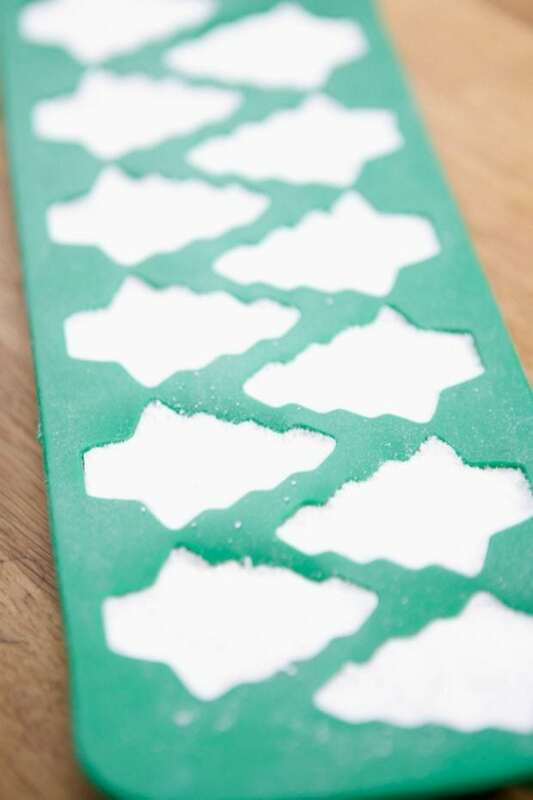 Add a tiny bit of water if it is still too powdery. 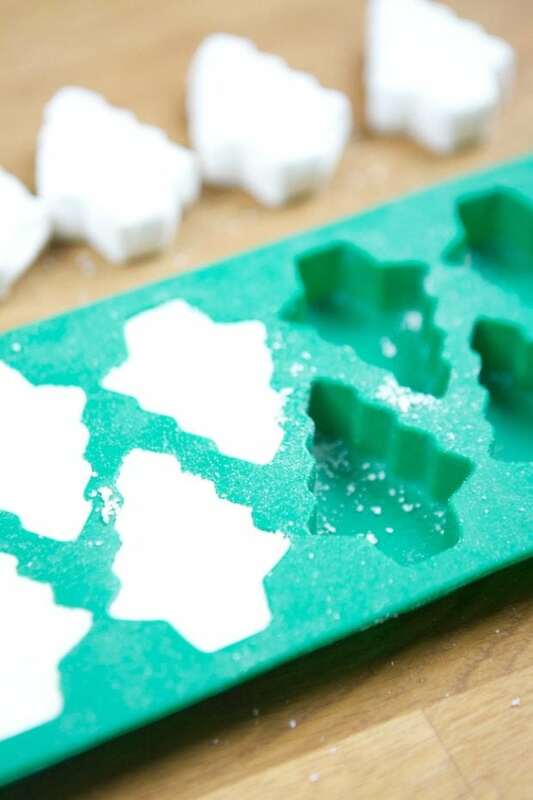 Press into a silicon mold. Let dry overnight and remove. 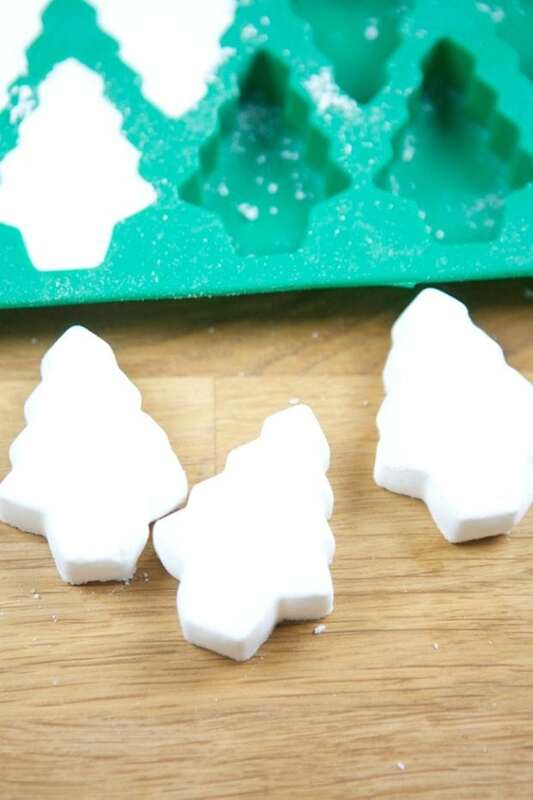 Makes 24 small bath bombs. After you have your gift pulled together, print off these sweet Live Laugh Lather® gift tags from Lunchbox and your customized package will be ready to gift! 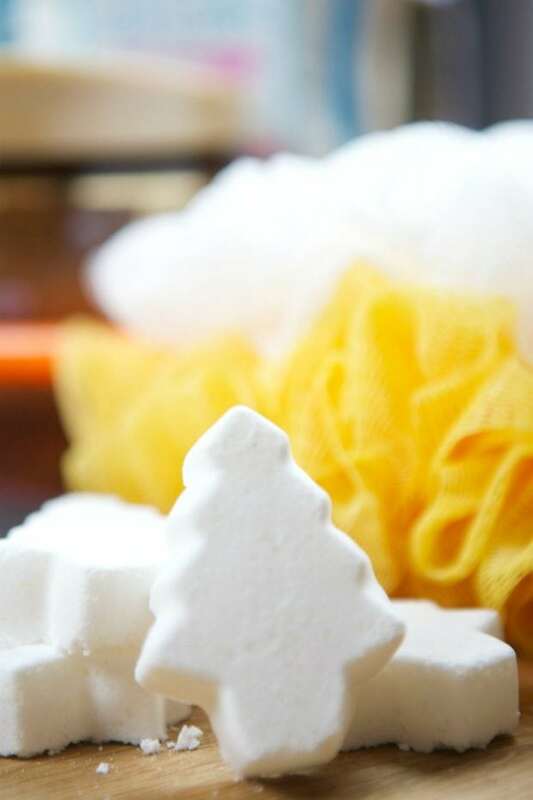 Which products from The Bathery® would you include in your DIY gift set? Use the Rafflecopter below for a chance to win a $25 Target Gift Card!